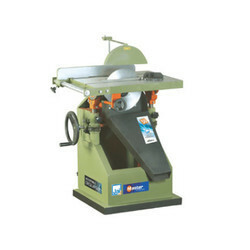 We are a leading Manufacturer of adjustable circular saw j-434, adjustable circular saw j-534, adjustable circular saw j-533, tilting arbour circular saw j-634, tilting arbor circular saw with sliding table j-634 st and hdhq circular saw j-1634 from Sirhind, India. Machine table adjustment by means of up-down for proper thickness cutting. Max. Circular saw dia. x Bore 455 x 25.4 / 18" x 1"
Max. 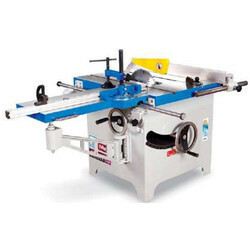 depth of cut 140 / 51/2"
Work table size 1015 x 760 / 40" x 30"
Machine table adjustment by means of up-down for proper thickness cutting and 45 Degree tilting for angular cutting. Max. Circular saw dia. x Bore 455 x 25.4 / 18" x 1" 610 x 31.75 / 24" x 1 1/4"
Max. 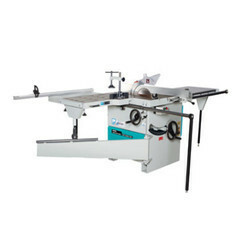 depth of cut 140 / 51/2" 190 / 71/2"
Work table size 915 x 610 / 36" x 24" 1015 x 635 / 40" x 25"
Machine arbour adjustment by means of up-down for proper thickness cutting and 45 Degree table tilting for angular cutting. 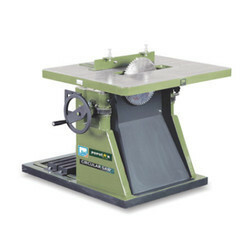 Heavy duty machine with 45 Degree tilting arbour for regular cutting. Saw guard, toolkit & m/c manual. 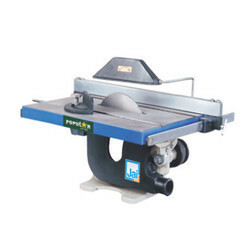 We provide Tilting Arbor Circular Saw With Sliding Table to our clients. Precise heavy duty wide sliding table for smooth operation. 45 Degree tilting arbour for angular cutting. Ripfence with fine setting for precise positioning for cutting. Specially machine of plywood industries precise cutting 8'x 4' boards.